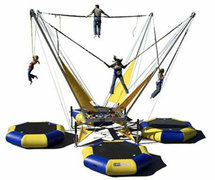 Thank you for visiting About The Bounce - your best choice for high quality event equipment rentals and services. 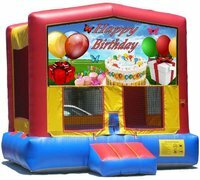 Here you'll find great deals on inflatable attractions like the popular bounce houses and inflatable slides along with professional event equipment you need to make your event a success. When it's time to plan your event, you'll want the professional experience and resources available only at About The Bounce. 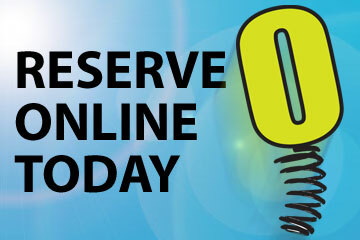 Making your reservation or just checking availability for your event is fast and easy at About The Bounce. Just click the "Get Started Here" button below and enter your event or party date and times. As you browse all the exciting items on this website, you will be presented with those items available on your selected date. When you find items you would like to rent just click the "Add to Cart" button and build your party package. Complete the check out and your reservation is confirmed. Let's get your party started today! 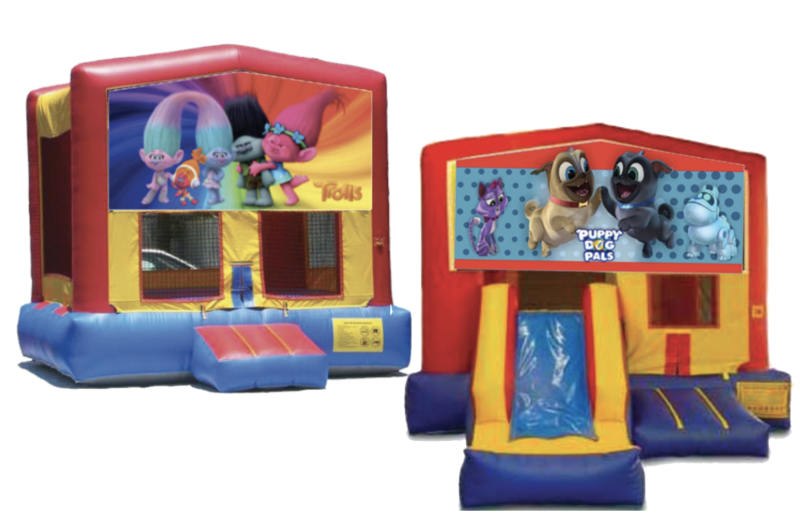 ATB has over 30 different graphic banners for you to choose from in customizing your bounce house or combo bouncer rental. These are brightly colored, with crisp, clear images of all your favorite movie and cartoon characters. Just select the type of bouncer you want and browse through all the fun characters and get ready to have a magical fun filled day! 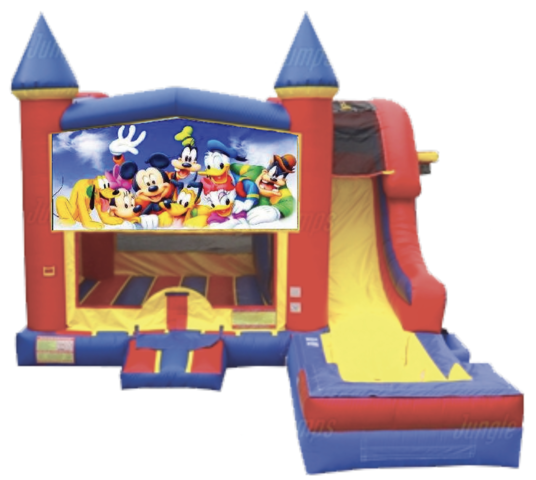 Mickey and his pals are ready to make new pals, as they bounce the day away in our new 5 in 1 combo bouncer! The combo bouncer offers bouncing, inside basketball hoop, climbing, sliding, and an additional hoop on the outside of the unit for extra fun! About the Bounce 5 in 1 combos can be themed to create a custom party experience and can be used wet, with an attached splash pool for those hot summer days! Nothing says, "FUN" like slip sliding down one of About The Bounce's Water Slides! 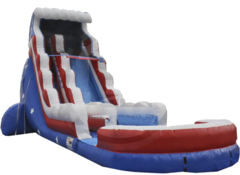 Choose from single lane or double lane slide water rentals, or maybe the giant 22' foot Stars & Stripes Water Slide you see here with matching slip-n-slide feature. 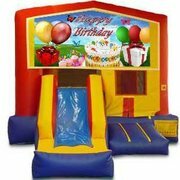 Large or small, we have just the right wet & wild slide action for any event. Browse our selections for your favorite, and click on the title or image for more rental information and larger images. Splash into fun this summer! Check out the brand new 4 player Meltdown game from About the Bounce. Do you have the courage to step into the ring and face the Meltdown? Duck and jump over two giant swinging arms as they spin and change direction! 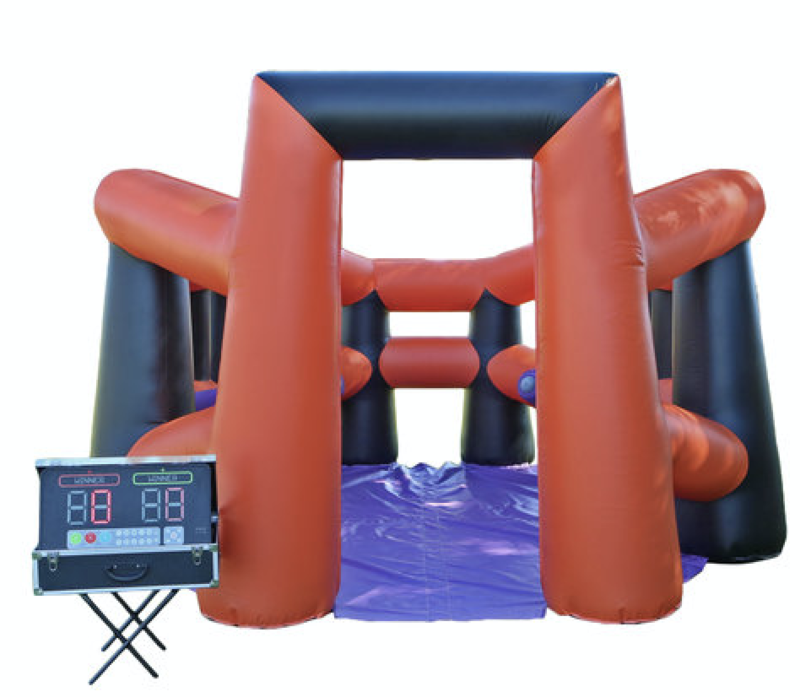 Great for any school carnival, large event or just a reason to have fun! Rent this amazing new ride today. 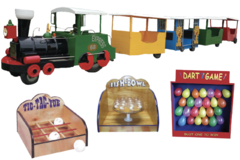 About The Bounce is proud to introduce a brand new line-up of IPS (Interactive Play Systems) for 2019! 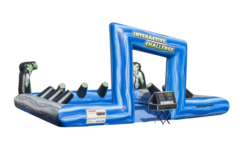 One of our new systems is the Playzone X2 Interactive Challenge. The objective of this unique game is to use hand-eye coordination, endurance and competitiveness to hit the most lights of your own color and win! Speed, accuracy and head-to-head competition makes this high energy, fast paced game a great experience for all ages! Team Red vs Team Green, who will win?! Place your bets & get ready for the fun! Riders will have a blast hopping down this inflatable Race Track, as the crowd cheers on their favorite horse to a photo finish. 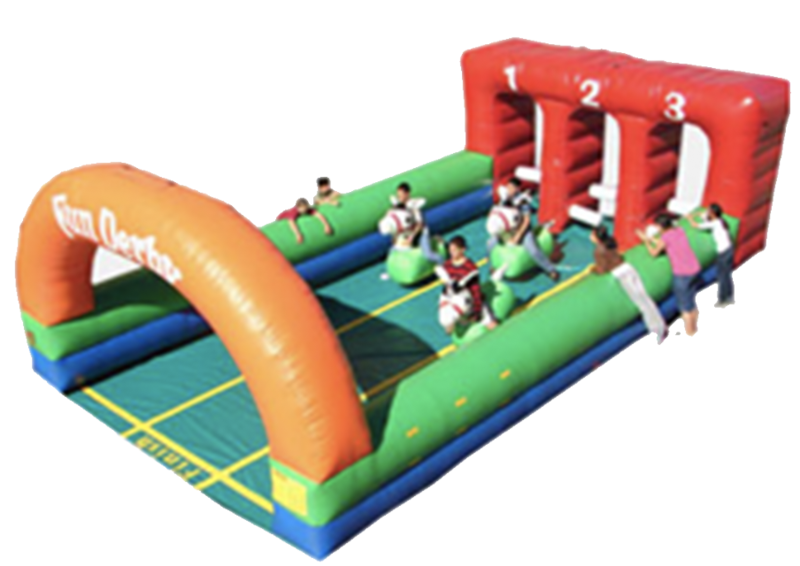 Our new 3 Lane Package includes multiple size inflatable horses for all different ages from kids to adults. This will be the hit at your next event or party! 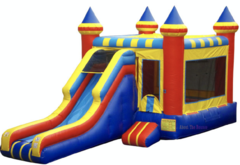 Whether you're planning a company picnic, a school carnival, a high school graduation, or a backyard birthday party - we handle more than just inflatable bounce house rentals. 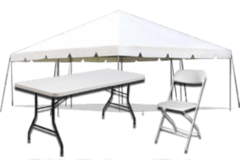 We're proud to offer professional event planning with the best party rental equipment in the area for all your event needs. As you browse our inventory and see everything we have to offer, keep in mind; the more you book, the more you save! Contact one of our associates today. We're here to assist you in making your next event a success!